Just wondering if there's an optimum file number to use? I just tried 50, the results were marginal, but certainly not up to the standard I created. Hopefully Andrei Doubrovski will drop by and give some advice. In the mean time I would think there is no one optimum number of files to use for all situations and cameras. I would expect it to depend on the quality of the sensor and the lighting conditions. For example, I can set ISO to 400 with a small aperture on a bright sunny day in order to freeze fast motion with a fast shutter speed and I will see very little or no noise at all. In low light at ISO 400 I will see some noise but it will be easily removed in ACR. With experimentation you might be able to get a rule-of-thumb number of files to use for a given camera sensor and lighting conditions. My favourite food for thought video: "Why Do Bad Photographers Think They Are Good." I have brought this thread to Andrei's attention. Hang in there! 1. Wile experimenting with the noise stacking, I decided that a series of 10 snapshots is quite sufficient for my tasks. After 15 snapshots, I can see any improvement at all. 2. Please, keep in mind that, even if you are using a tripod, the stacked photos are not identical. In your example, the moon is moving, there may be some changes in the atmospheric/light pollution, etc.. The more photos you stack, the more chances those mismatches can't be automatically fixed by the script. Averaging the accumulated differences may worsen the image quality. 3. As for your experiment in general, it seems, the noise stacking technique just doesn't suite your task. I believe, a single low ISO exposure always provides a better result than a stack of high ISO images. Thank you very much Andrei, apology certainly not necessary, but accepted non-the-less. I'm assembling a set of techniques for my photo club to effectively capture the moon. I was impressed with the results in the thread you mentioned and decided to try the script for a slightly different purpose. Perhaps you'd be willing to point me in a different direction. The purpose is to discover a method of exposing the next total lunar eclipse [Jan 20,2019] during totality with as much detail as possible with my current equipment. My premise is using my lens sweet spot (f/4), the slowest exposure time 1/125 sec to eliminate moon motion blur, and set camera on auto ISO. Results were as expected high noise. I can eliminate the sweet spot and use f/2.8 at 600mm. I'll be certain to use burst mode and capture 15 / burst with the intention of using only 10. Thanks you in advance for any suggestions you're willing to share. I am a complete ignorant on astrophotography, so, I'm probably the wrong person to ask. 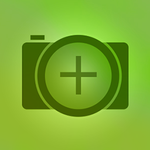 However, even in the burst mode, 15 snaps may take about 2-3 seconds. This is, probably, already too much for the moving moon (just my unqualified guess, though). Having very modest experience with astrolandscapes (which is a different story) I'm used to accept the noise as an inevitable evil. I believe, for higher image quality we need some special equipment -- astronomical mount, modified camera, and dedicated software. My premise is using my lens sweet spot (f/4), the slowest exposure time 1/125 sec to eliminate moon motion blur, and set camera on auto ISO. Results were as expected high noise. I was a little surprised when I read your len's sweet spot is at F4 when your camera's maximum aperture is F2.8. Are you sure you have the right sweet spot aperture for your lens? It would be a pity to lose some sharpness with an incorrect optimum aperture. I feel Andrei's points 2 and 3 are the most pertinent wrt photographing the moon. Photographing the full moon before it goes into the earth's shadow should be no problem with a low ISO. So noise removal without noise stacking should not be an issue. When the moon is in total shadow, your exposure will need to be a huge ~6-8 stops greater (from my experience of photographing the eclipse in Jan 2018) because of the very low light. I would think your best option is to set maximum aperture (lowest f number) and the slowest shutter speed you can get away with to avoid motion blur of the moon. Then take many photos while increasing your ISO by the camera's minimum increment after each shot until you see an image on the camera's LCD screen while in LiveView that you are happy with. I don't know how long the moon will be in total shadow but hopefully it will be long enough to take many photos at certainly different ISO settings and perhaps even having to slow your shutter speed even further to get an acceptably bright image. If you have a laptop with you at the time, reviewing images on a laptop screen is much better than on a camera's LCD screen. After cleaning up the noise as much as possible in post processing and applying any other edits, especially in the total shadow shots, if you feel the images are still a bit soft, you could try applying drjoerogers' Detail Exraction, Sharpening with Surface Blur tutorial which works very well for full moon images and hopefully for moon in total shadow images as well. We had 2 photographers on site with different responsibilities. Mine was high quality building, my partner was moon. Thus far the 2 of us have viewed each other's captures and we both agree his moon images are far superior to mine - there are visible stars as well as a stunning moon. Perhaps use the settings the other photographer used back then as a starting guide. The really good news atm is that you still have plenty of time between now and Jan. 2019 to experiment. oh, and a final ps......thank you for answering my previous query in your PM. Testing On1 PR2019 beta layer stacking. Images captured using ND filters and ISO 3200,1/200 sec, f/4, 600mm. This is in preparation for the total lunar eclipse 1/20/2019 - I want to capture maximum moon detail during totality. I'm pretty impressed with the align capability, and noise reduction on these 12 images. I started at the top layer set to 8% opacity and went down the stack adding 8% at each stop. How does the noise removal using stacking compare with using something like ACR to remove the noise from a single raw image? The reason I ask is because depending on the length of time it takes your camera to take a 12 shot burst you will probably get some motion blur when you align the photos. It's impossible to tell, with my eyes at least, whether there is any motion blur in your stacked image. It is too small. In my browser when I look at your image's info, I see it is only 1271px x 473px overall. The moons are obviously much smaller. The only way noise reduction can be evaluated properly is to look at the original image at 100%. Downsized images will always look sharper and with less noise on any screen. Assuming your F4 is wide open at 600mm, then at totality where you will need an exposure around 6-8 stops longer than for your full moon experiments, you will need a much, much slower shutter speed than the current 1/200 and/or higher ISO than your current 3200 to maximise the moon's detail at 600mm. If your shutter speed is too slow, you will definitely see motion blur as Andrei Doubrovski also alluded to earlier. It would be a shame to possibly miss out on high quality "keepers" using noise stacking to reduce noise. I would strongly suggest you also take properly exposed single shots and process them as a Plan B. Thanks @baily for your continued interest. My focus for this experiment is using the existing equipment folks (participants in my class) have to capture as much detail as possible during the total phase of the upcoming lunar eclipse. Stay tuned - I'll continue the experiment with a different burst set AND single out 1 image with which you're free to give it a try using your methods. Look for results later today. If your results are similar to mine then I'll certainly use both in the class. Bailey, As promised with an extra benefit - On1 officially released Photo Raw 2019 today. I used a different burst sequence limited to 12 images which were captured on the same night; ISO 3200, 1/160 sec, f/4, 600mm. 14 images loaded to Cloudup : 12 raw files, 1 jpg of raw image processed, & 1 jpg of the 12 image stack output. I interested in comparing results - this should be an interesting comparison. On1 PR 2019 used for editing on the uploaded files.